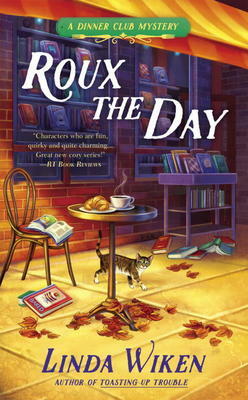 Local mystery author Linda Wiken will be in our store on Saturday, April 22 from 12:00-2:00pm to sign copies of her newest mystery novel, Roux the Day. This new book is the sequel to Toasting Up Trouble, the first installment of her Dinner Club Mystery Series. Featuring event planner and amateur sleuth, Jennifer “J.J.” Tanner, this cozy mystery series is full of fun, food, and of course, murder! Linda is also the author of the bestselling Ashton Corners Book Club Series written under the pseudonym Erika Chase. With bodies cropping up left, right, and centre, the Ashton Corners Mystery Book Club is the most authentic club you will ever encounter! While we can’t promise you a real live mystery to solve on Saturday, we can guarantee you will get endless entertainment from both of these great mystery series. We look forward to seeing you on the weekend!